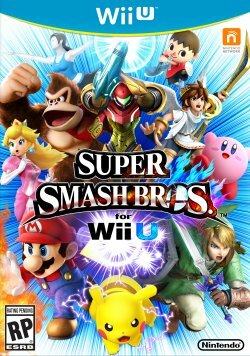 Super Smash Bros. for Nintendo 3DS and Super Smash Bros. for Wii U are the next iteration of the Super Smash Bros. games. As the game is now on two consoles, there is to be some interconnectivity involved between the two games. Both games have their own unique style, with the 3DS one having a border around the characters to allow for them to be more easily seen, while the Wii U one focuses on completely high quality graphics. Between the two games, the character roster will be the same across both games, but the stages will differ between each games. 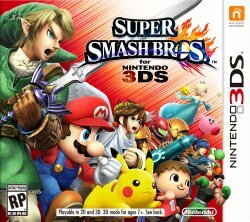 Super Smash Bros. for 3DS will have stages based upon the various games from Nintendo's handheld platforms while Super Smash Bros. for Wii U will have stages based upon various games on Nintendo's home consoles. The Wii U game is also the first to make use of Nintendo's amiibo figure system. Using figures that are purchased in store, you can call in characters into fight and store your own versions of each of the characters.